At Performance Trans., Inc. safety is our highest priority. It is our company policy to place the safety of our employees and the public before anything else. All personnel undergo a rigorous training program prior to being dispatched on their own. This training involves both classroom and on the job experience and lasts from four to six weeks. Only after demonstrating proficiency in all aspects of operations is an employee certified to work independently. 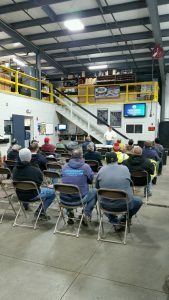 Safety training is ongoing throughout the year with regularly scheduled safety meetings taking place along with unannounced observations conducted to insure all company safety policies are followed.